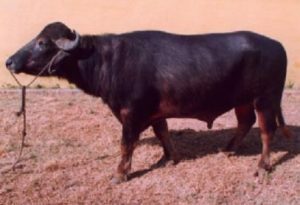 The Bhadawari is a breed of domesticated Indian water buffaloes that are mainly famous for their ability to yield large quantity of milk. Because of this ability, they have proved to be extremely profitable to many farmers in the agriculture-based developing economies like Thailand, Malaysia, Nepal, the Philippines, and Bulgaria. These animals are frequently crossed with the meat and milch buffalo breed called the ‘Murrah’. Resultantly, the population of the pure Bhadawari specimens is dwindling to only a few thousand at present. 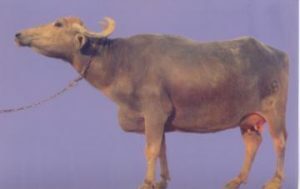 The male Bhadawaris are considered as one of the best for ploughing marshy fields. 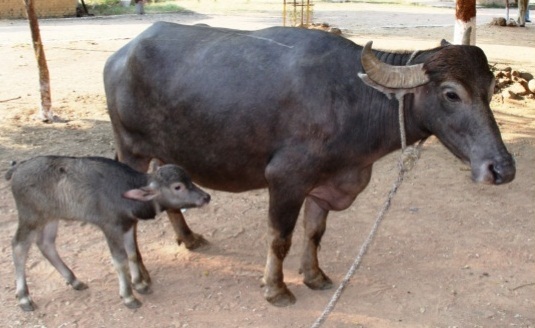 The calf mortality rate is also quite low as compared to other buffalo breeds. Primarily, the Bhadawaris are spread across the North Indian state of Uttar Pradesh in the districts of Agra and Etawah, especially along the banks of the river Yamuna. They are also common in the districts of Morena and Bhind of Madhya Pradesh in central India. The female Bhadawari buffalos are able to produce milk that contains high buttermilk ranging between 6 and 12.5 % since they have the ability to convert animal feed into butterfat. Their lactation period lasts for about 272 days, during which time they are capable of producing 752–810 kilos (1,658–1,786 lb) of milk (or, up to an average of 3 kilos of milk per day). 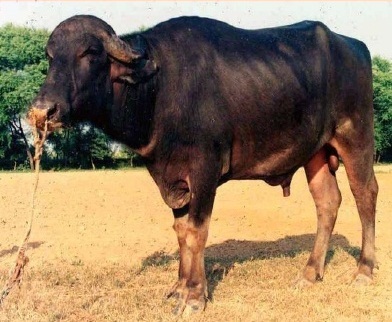 In 2008, a comparative study between 4 buffalo breeds from India has shown that the Bhadawari buffaloes yield milk that has more amount of ‘solid fat’ than the Murrah breed, which has the largest amount of casein contents, total protein, and fat.